High cholesterol has mostly (and controversially) been linked to heart attack and stroke. But a new study, published in the journal Cell Stem Cell, proves it can actually cause something much worse. That is, the second most deadly type of cancer, only behind lung cancer in the number of people it kills. It spreads easily to lymph nodes and surrounding muscle tissue if not picked up early enough. What Can Be The Effects of High Cholesterol Level on Your Digestive System? 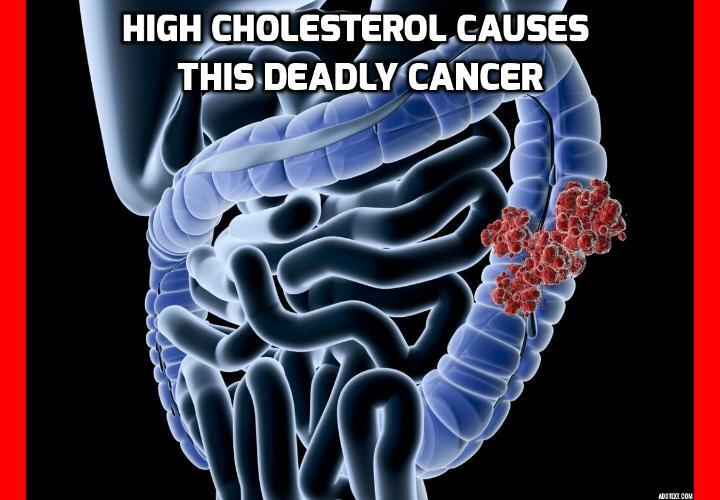 Cholesterol is particularly abundant in cancer cells and many studies have indicated that high cholesterol may contribute to the development of intestinal cancers. To find out, the researchers first gave a group of mice a high cholesterol diet to elevate their cholesterol. After doing this successfully, they examined cell activity in the mice’s intestines, noticing that stem cells divided and multiplied so fast that tumors could form 100 times faster than in the intestines of mice with normal cholesterol. In a second group of mice, they modified a gene that regulates phospholipids, the main type of fat in cell membranes, so that cells would produce an excessive amount of cholesterol on their own. As this group’s cells made more cholesterol and their cholesterol rose, the stem cells in their intestines also multiplied much faster. In both groups, the linings of their digestive tracts thickened and their intestines actually grew longer to accommodate the excessive cell growth. This caused the formation of cancerous tumors in their intestines and colons as a result of the high cholesterol level. Summer Oily Skin Care – How to Protect Oily Skin in Summer? Next PostNext Why Losing Weight Quickly Can Cause Heart Problem?